I thought Bravo’s show “Blood, Sweat and Heels” was supposed to be about women who were actually on a career path? Clearly, that was my mistake. 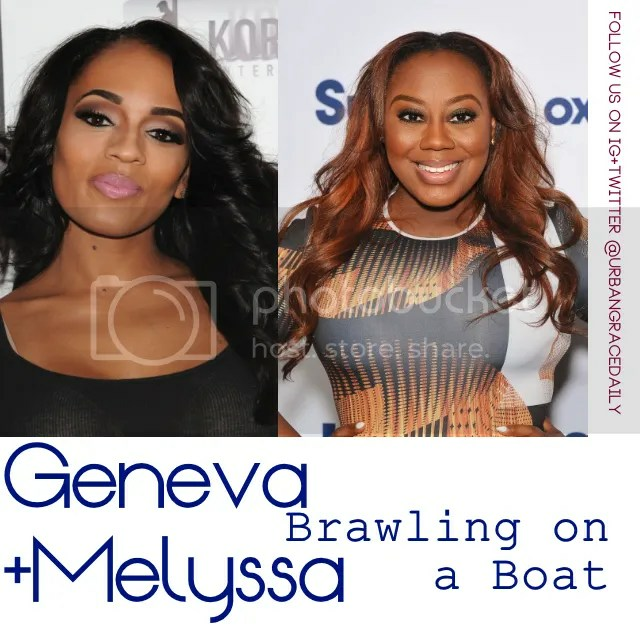 Last night, two of the show’s stars, Geneva Thomas and Melyssa Ford were attending a yacht party and sparks, I mean, bottles flew. Geneva actually took it all the way back to the ‘hood and busted Melyssa over the head with a bottle. Melyssa received stitches from a nearby hospital. Geneva received a felony assault charge after being arrested. Incidentally, she was also arrested last month for not paying a taxi driver what she owed him. It was $18. Times are hard, I guess. The ladies are currently filming season 2 of “Blood, Sweat and Heels,” so I’m sure this will make the cut. Previous Post Get The Look: Beyonce Goes Vintage and You Won’t Believe The Price Tag! Next Post Beyonce and Jay-Z Renewed Their Vows!